Dr. Juan Meng is an associate professor of public relations in the Grady College of Journalism and Mass Communication at the University of Georgia. Dr. Meng’s teaching areas include public relations campaigns, research insights and analytics, global PR and cross-cultural leadership in PR. She founded and directs Grady College’s Choose China study abroad program since 2013. 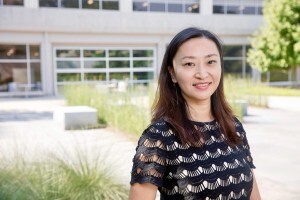 Meng’s research specialization includes leadership in public relations, talent management and leadership development, trust, corporate reputation management, and employee engagement in strategic communication. As a Plank Center Scholar, Meng has collaborated with the Plank Center for Leadership in Public Relations during the past ten years and over a dozen of research projects. She has received more than $200,000 in funding grants to support her research on public relations leadership and related topics. Meng has published her research in leading scholarly journals such as Journal of Public Relations Research, Public Relations Review, Public Relations Journal, Journal of World Business, Journal of Communication Management, International Journal of Strategic Communication, Journal of Promotion Management, Leadership & Organization Development Journal, Journal of Contingencies and Crisis Management, among others. She has also contributed chapters to the SAGE Handbook of Public Relations and the Handbook of Communication and Corporate Reputation. As the co-principal investigator for a global leadership study funded by the Plank Center for Leadership in Public Relations, Meng is also the co-editor of the scholarly book based on the global study, Public Relations Leaders as Sensemakers: A Global Study of Leadership in Public Relations and Communication Management,which was published by Routledge in 2014. Dr. Meng is a member of the Page Up Society, the Association for Education in Journalism and Mass Communication (AEJMC), and the International Communication Association (ICA). She also serves on the editorial advisory board for the Journal of Public Relations Research, International Journal of Strategic Communication, Journal of Promotion Management, and Public Relations Journal. Dr. Meng has received multiple awards for teaching and research in public relations, including the Wilcox Award for Best Teaching Paper from AEJMC, the Red Raider Award from the Institute for Public Relations (IPR), and multiple top research paper awards from AEJMC, ICA and IPR.